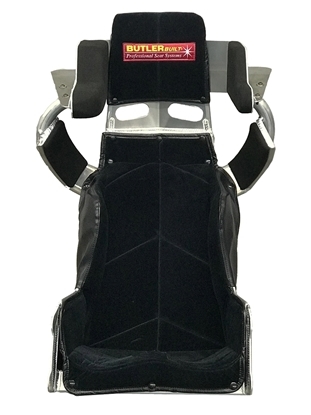 A 30° layback ProBandolero Plus seat (custom or standard size) with the Sportsman Advantage Head & Shoulder Kit mounted and bolted to the seat is the safest and best seat on the market for Bandolero racecars! We will need your driver's measurements for head and shoulder support mounting. See button below for measurement guide. 17.5" TALL (raised 1") for drivers approx. 6'1" to 6'3", between 200 to 230 lbs. 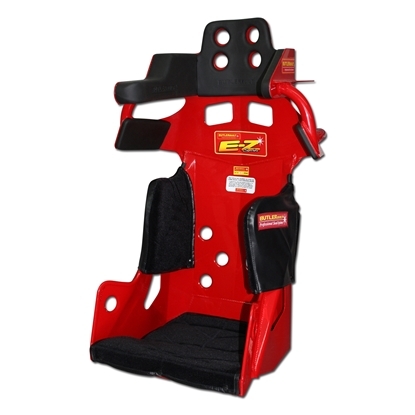 Drivers taller and/or heavier than those ranges typically need a custom seat built. Also available with upgraded MaxGard head foam and a full cover (allow longer lead time for these options). 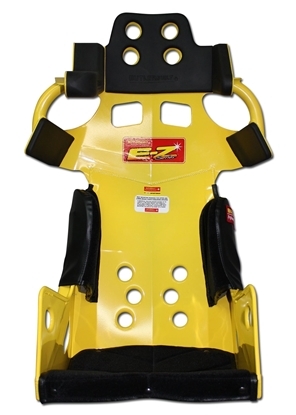 The 17" and 18" E-Z Sportsman Tall seats are preferable for taller drivers normally approx. 6'0" to 6'3" in height. 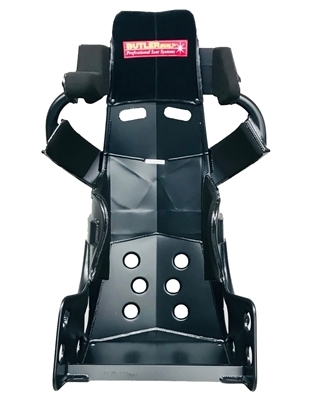 These seats are raised 1" in head and shoulder height from the standard 17" and 18" E-Z Sportsman seats for taller drivers with higher sightline. NOTE: Rib height is not changed. BUTLERBUILT'S No. 1 seat for Dirt Late Model racecars, now SFI-39.2 approved for 2018 Lucas Oil and other series rules. 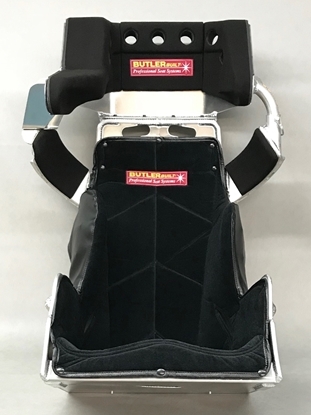 The popular "high-back" full-containment seat used by top dirt Midget racers including Chili Bowl champion Christopher Bell. 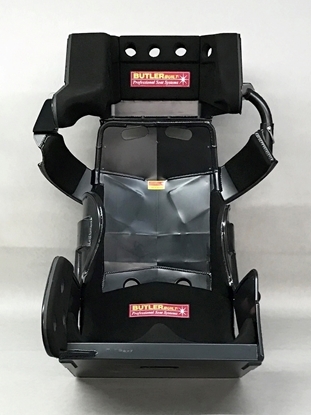 Seat built custom to a driver's measurements; allow 8-10 week lead time. Welded shoulder support and bolt-on, box-wrap head support. Built for seat insert pour (as shown in photos) or with contoured bottom pan and black velour cover. Seat shown with optional Flat Black powder coat. For powder coat options, see Related Products below.